It’s never too early or too late to start investing. Investing in stocks is one of the easiest ways to grow your money. 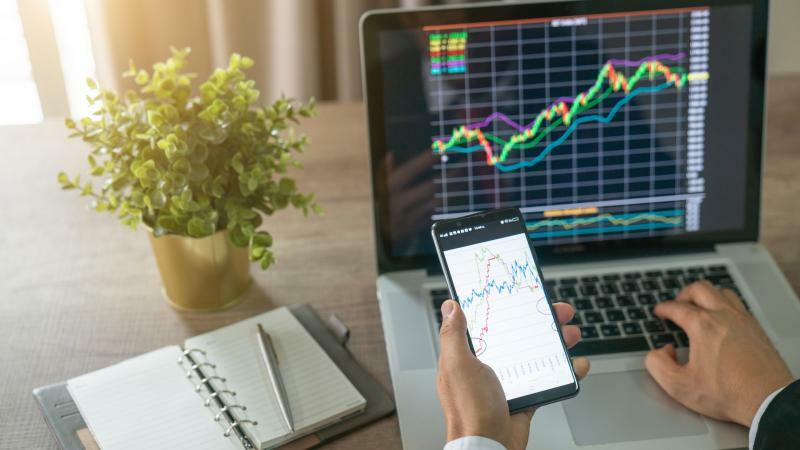 Though it may not seem simple at first, you actually don’t have to know a lot about the stock market to start taking advantage of the benefits. If you’re a wise investor it’s possible to get a higher return than if you put your money in a savings account. Plus, you don’t need thousands of dollars to start an investment portfolio. So, how does one get started? Here are four simple steps you should follow to help you get in the investing game and start seeing your money grow! Congratulations, you’re already one step ahead of most when it comes to thinking about investing. Active Management Style: In this approach, the investor is actively involved in selecting the stocks and the stock funds in his or her portfolio. This style of investing is for those who have a high tolerance for risk and are willing to constantly watch the market. Passive Management Style: This approach is great for investors who want to invest their money for long-term financial goals. It allows someone such as a robo-advisor to takes charge of your portfolio and invest your money based on your goals. Once you know your preferred investing style, you can open an account to start investing. In order to start investing, you need an investment account – the specific account to open will depend on your investment style. If you want to have an active management style, you’ll need to open a brokerage account. Once you’ve found a brokerage that works for you, you can start setting up an account – this step is simple and can be done online. Other brokerage accounts to consider include Vanguard Group and TD Ameritrade. If you choose an active approach, you’ll want to spend time researching the different investment types. Opening a robo-advisor account: This option is for those who plan on having a passive management style. A robo-advisor offers the benefits of stock investing without the hands-on approach. This type of service will require you to know your investing goals – and a robo-advisor will build you a portfolio based on those goals. According to NerdWallet5, most robo-advisors will charge between 0.25 percent to 0.50 percent of your assets under management. The next step is considering how much you need to get started – and the good news? You don’t need thousands of dollars in your bank account to start investing. Actually, the amount of money you need will depend on the individual stock and how expensive the shares are (it’s possible for a share price to only be a few dollars). Next, you’ll want to consider how much money you should invest in stocks – it’s possible to start investing with only $500.6 If you’re investing through funds, you can allocate a large portion of your portfolio to stock funds – watch your retirement savings grow! Now it’s time to start investing. It’s important to remember that stock investing is all about having the right strategy and following the best approaches – again, you don’t have to be an expert. In recent years, target-date funds have become very popular in 401(k) retirement plans, according to Investopedia.7 Target-date funds allow for safer investments as the content of the fund gradually changes over time. Another investing strategy is index funds. A low-cost S&P 500 index fund is the best investment most Americans can make, according to Warren Buffett8, one of the most successful investors of all time (an S&P 500 index fund means you’re buying a stake in 500 different companies all at once – the return on investment is determined by the performance of the companies that are in it). Investing is a simple way to grow your money – but only if you do your homework before you buy your first stock. Research first, as it is critical to understand how the market works and the current market trends. You’ll also want to spend some time comparing the commissions of well-established brokerages or robo-advisor in order to find the best one that works with your financial goals. And remember it’s possible to start investing even if you only start out with a small amount of money. Interesting in investing in stocks? Start a search today.